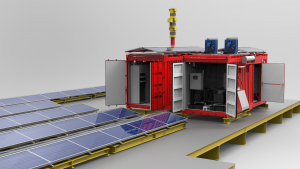 Leman Bravo has been the second platform that has been de-complexed and supplied with a VONK Hybrid-Power Solution designed, produced, and commissioned by VONK. The development of this project started approximately one year ago. It started out with the design, construction, and testing of the VONK Hybrid-Power Solution in Coevorden. Then the Hybrid-Power Solution was transported to its destination in the North Sea, near the coast of England. After installation, VONK commissioning engineers have supervised Shell personnel with the commissioning of the system. It is now intended to run without maintenance or intervention for the upcoming year, as the Leman Echo is already performing. Leman Delta has been developed and is awaiting transportation to sea. VONK is looking forward to assist with the upcoming Hybrid-Power projects. VONK has been conducting training sessions with the engineering and operations teams of the NAM and Shell UK. The third and most recent training session was November 5th, 2018 participated by the assets RPE’s. The goal of the training sessions is to familiarize with the Leman Hybrid Power system, which was commissioned by VONK back in 2016. The Leman Hybrid Power Project is an intelligent system that slightly deviates from the Shell standard energy systems providing a lot more functionalities. In order to familiarize the teams of the NAM and Shell UK, VONK has come up with a training course which will teach the team how to work with this unique system. The training consists of theory and practice session and during the practice session the team members will learn how to deal and how to solve issues on-site, but also from remote, keeping up the functionality of the system. VONK is proud to continue our work with the NAM and Shell UK. VONK commissioning team will be travelling to Alexandria, Egypt, on the 14th of November for the commissioning of the EPC metering system. The previous metering system was successfully delivered by VONK back in 2001, but has now become obsolete and is due for an upgrade in 2018. A metering system is a supervisory system for liquid and gas flow measurement. These systems may sometimes communicate with flow computers, as in this case. For the new system VONK selected to use the latest technology in the form of the ABB FlowX, a highly accurate and certified flow computer. VONK will conduct the migration of the metering system under live plant conditions to ensure production is maintained for our client Badr El-Din Petroleum Company (Bapetco) . VONK is very proud to be continuing our successful project delivery with BAPETCO In Egypt. VONK has been awarded a contract with Bapetco in Egypt. The Bapetco Bed 3 plant is a gas compression/treatment station for the production of gas which feeds the power plants that supply electricity to the grid of Egypt. This implies that availability and uptime of the plant are key. The production equipment is being renewed and expanded which requires a new electrical infrastructure. VONK will execute a study to renew the electrical infrastructure supplying the new demanded power. The implementation shall be phased by making use of opportunity shutdowns per unit. VONK is pleased to announce that it has formalized its Cooperation Agreement with Wehaya, a Bumiputera Engineering Company in Malaysia. Wehaya is mainly known for its Maintenance, Installation and Construction activities in the disciplines E&I and C&A in the Malaysian Oil & Gas market. In the cooperation, VONK will add value by jointly executing complete projects, including: Hybrid Power Facilities, Brownfield C&A plant upgrades, and virtualization of the plant’s control systems. VONK has signed a cooperation agreement with Collectric to provide technical support in delivering clean mobility solutions to owners and operators of commercial real estate, covering electric vehicle charging, on site generation and car sharing to enhance sustainability performance of buildings and meet tenants’ clean mobility needs. This will be a strategic move into the field of clean electric mobility for VONK. We are excited to partner with Collectric and support them in their mission to provide infrastructure solutions that accelerate the clean mobility and energy transition. VONK service and commissioning engineers have been deployed at Dubai Drydocks to support the vessel owner to extend and overhaul the existing low and high voltage system onboard the FPSO, for both vessel and topside. The works on the FPSO are in their final stages, with sea trials expected to commence at the end of this month and sail away to follow shortly thereafter. The FPSO will be moored offshore on the coast of Scotland and operated by a UK-based oil and gas company. In the beginning of September, VONK dispatched two generator control cabinets as replacement of the existing cabinets at our client’s power plant on the British Virgin Islands, since the replacement parts had become obsolete. The scope of work included designing, manufacturing, and programming of the PLC system. The two new cabinets will be put in operation by our engineers later this year. The client also intends to replace the control cabinets of four other generators at their facility in Pockwood within the next two years. VONK recently agreed on a three years framework agreement with Basrah Gas Company (“BGC”) of Iraq for various services and engineering to mainly support the delivery and maintenance of Process Automation Systems (PAS) across client’s various facilities in Southern Iraq. BGC’s main assets are in West Qurna, North Rumaila, Khor Al Zubair and Um Qasr. The aim of the project is to bring the existing BGC’s assets back to the original design intent. VONK shall be responsible for the design, on behalf of procurement services and putting into operation of new and upgraded process automation systems. 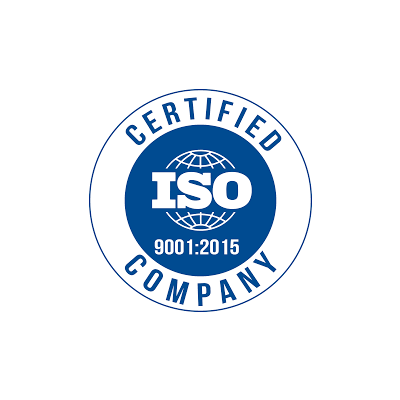 Vonk successfully passed the ISO9001 audit as per the latest (2015) release. The external audit was carried out on 18 and 19 July 2018. Bureau Veritas, an independent certification body, confirmed that VONK meets all quality system management requirements under ISO 9001:2015. No non-conformities were identified.